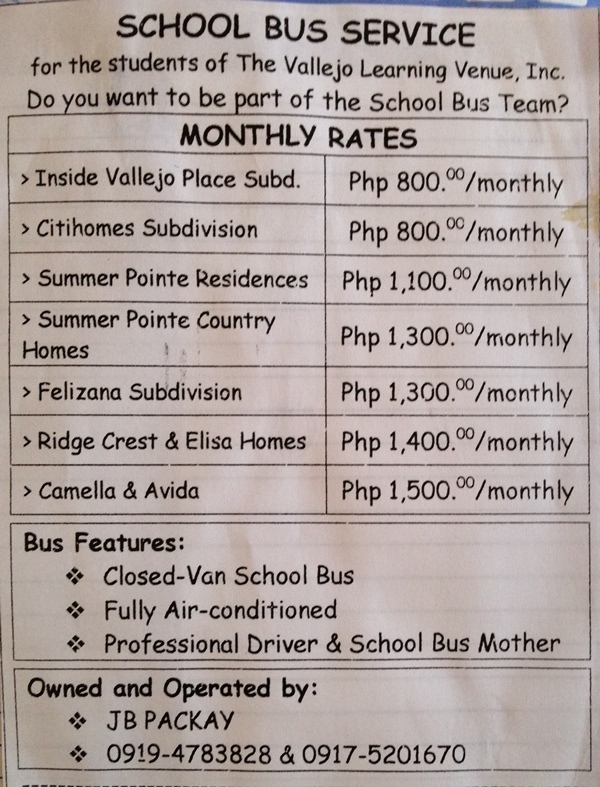 Are you looking for a school in areas near Molino, Cavite Daanghari road or Pasong Buaya II, Imus Cavite? There are many good schools to consider in these areas like the Statefields School Inc. which I already featured, and Divine Light Academy. 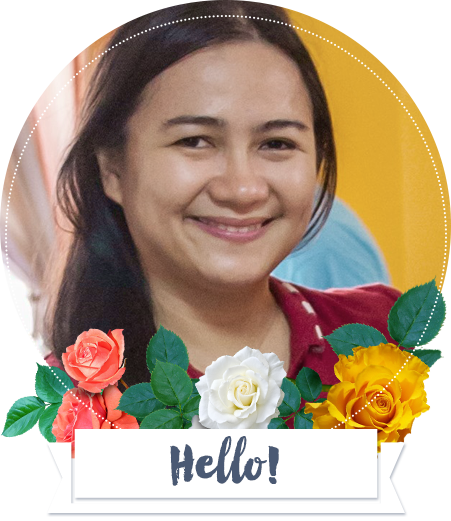 In this post, I am going to introduce to you the “The Vallejo Learning Venue, Inc.” school in Cavite. 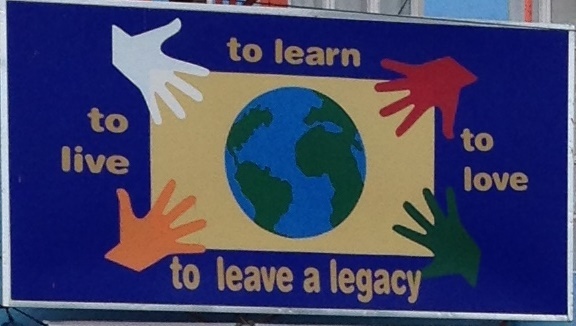 The Vallejo Learning Venue, Inc. was established in the year 2006 with the vision statement: To live, to love, to learn, and to leave a legacy. The school mission tasked is to promote growth of positive self-imagine in every child who will encourage the natural desire ability, self-discipline, and independence inherent in learning. Their teaching method is traditional integrated with multiple intelligence. My experience with the school: So far so good! The teachers are friendly and accommodating. They are advance in school teaching method. The school lesson plan are properly arranged in a way that students can understand before they move to the next chapter. Imagine at grade 1, my son already knows how to read and write in millions, do multiplication, and knows how to write in cursive. Their homework will really let the child practice and learn more with their lessons for the week. What’s lacking in this school are the big facilities like gymnasium, computer room, and function rooms. Their classrooms are all air conditioned. But, I think there will be small facilities like this in the new building. (I will update this post once I verified and also upload pictures of the new school building). 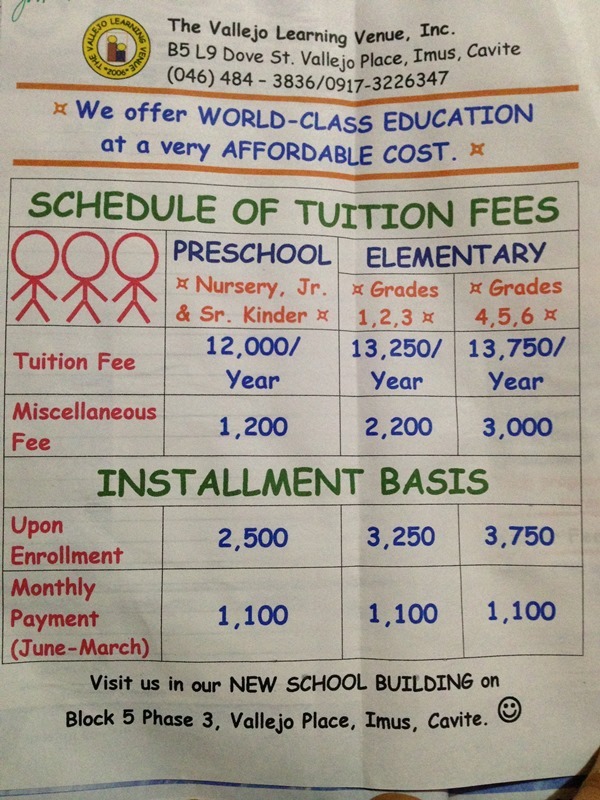 The tuition fee is very affordable. As parents, we should be the first person responsible in teaching and guiding our child. What I mean is that we should not fully depend on the school for our child to learn. There should be teamwork with students, teachers, and parents. My children also study in this school…so far so good..this 2016 mgkakaroon sila ng bagong building..na gagawing area for p.e and other sports activities..laboratory classroom and class room ..mabilis sila mgexpand kaya ang eldest ko nilipat ko dito grade three and yung youngest ko dto na ngnursery.kinder and senior kinder na dis coming june 2016…ang dami na nilang student…ok sila s pgorganize ng program..ang kids very disciplined din i guess kasi so mam cristine yung school principal nila ay strict but very friendly din s parents…lagi nya kinakausap kids ng english kaya pati anak ko npapaenglish na rin….mga student dito most of them fluently speaking in english..very accomodating sila..at malinaw s pgpopost ng mga activities or schedules nila s diary…very affordable tuition fee..
Hi mommy kamusta po ang turo sa Vallejo lately Ok padin ba? Hingi sana ako ng recent feedback thanks. Based sa mga kapitbahay at friends ko na nag-aaral ang mga anak sa Learning Venue, maayos naman daw po ang turo. Nakakatuwa yung girl student naming kapitbahay may study jhabits siya kasi talagang tutok sila sa academics sa school na ito at busy mga bata sa pag-aaral. Good luck po sa inyo!